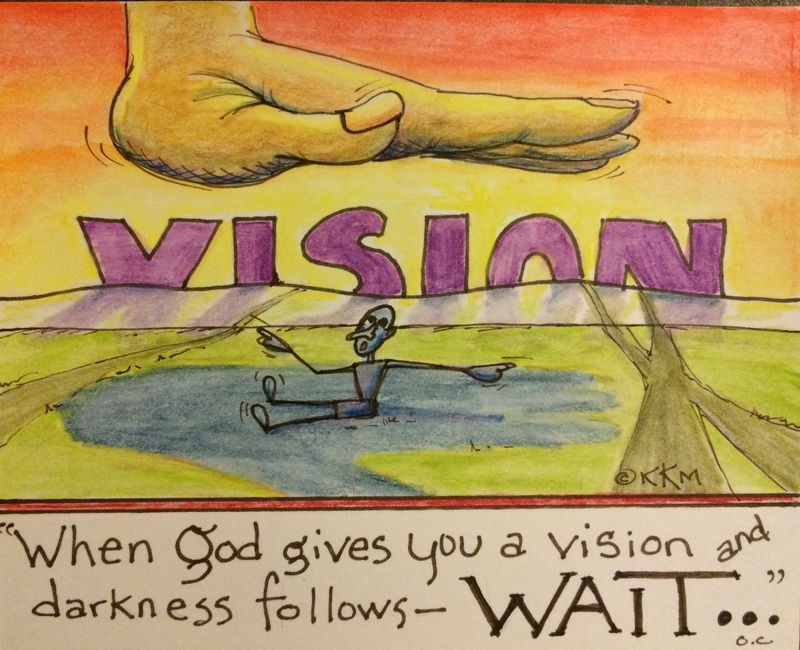 How often in our own lives have we seen a vision? It can even be “unspiritual.” A new car, a better job or a better marriage. (I put unspiritual in quotation marks because somehow we think there are areas in our lives that God takes varying degrees of interest–I would say that EVERYTHING is spiritual when Christ lives in you–even a new car.) Back to my point. We’ve all done it, get busy looking for a new car, only to jump the gun and get stuck with a lemon…then you have to sell it, get another, etc….until finally you just give up, learn to be satisfied with what you’ve got and wait. That’s when the better car shows up. Or worse yet, we act on that “Better Marriage” vision and decide that the only way for a better marriage is to get a better marriage partner. I submit to you, your marriage IS the vision. (Remember, God never leads you to go against His word and His word is, submit to and respect your marriage partner as Christ submitted for you. He went to the desert and the cross for you when He could have just stayed in Heaven.) God has something wonderful in store for you and your spouse…it just may take submitting yourself to God and loving your spouse unconditionally. Miracles can happen in marriages when we love beyond ourselves.